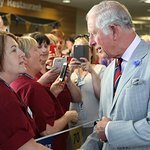 Beverly Hills couple Dr. Gabriel Chiu and Christine Chiu have made their philanthropic mark across the pond – alongside Prince Charles, the Chiu’s opened The Prince’s Foundation Chiu Integrated Health Programme at the Dumfries House on Tuesday, Jan. 22, in the town of Cumnock, Scotland. 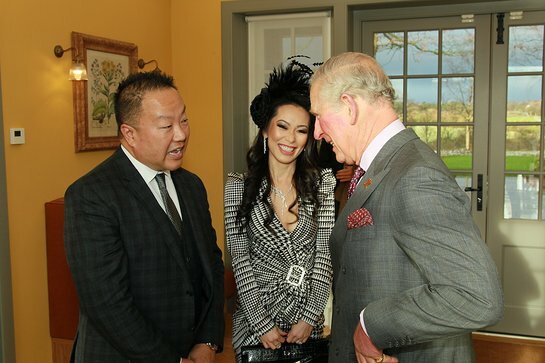 “When Prince Charles invited us to become involved with his vision at Dumfries House, it was a very compelling opportunity to not only help the community, but to see how much good could be done with the full arsenal of traditional, holistic, herbal, homeopathic, and naturopathic medicines and therapies,” says Dr. Chiu, an advocate for alternative treatments alongside traditional medicine. The facility provides holistic health and wellbeing services to the areas surrounding Dumfries House – one of the most deprived regions in the U.K. – with the project demonstrating the Chiu Family’s longstanding commitment to health causes and support of The Princes Foundation. Starting in early autumn 2018, began accepting patients to multi-week programs addressing the five most pressing health needs of the East Ayrshire community: pre-diabetes and obesity, depression and low level mental health issues, young single mothers requiring support and advice on parenting, isolation of the elderly, and women’s health issues. Determined by a steering group of mostly National Health Service professionals in 2015, the new center seeks to complement local services in the areas of primary and tertiary care.